Hibs boss Neil Lennon has criticised the performance of match official Don Robertson after his side were beaten 4-2 at Celtic Park. Goals from Tom Rogic, Oliver Ntcham and a double from Odsonne Edouard enabled the hosts to out-score Hibs, who responded with strikes from Flo Kamberi and Martin Boyle. While Lennon admitted to having got his tactics wrong in the early part of the game, where Celtic moved into a 2-0 lead, he was far from impressed with the performance of the referee. He said: “I was pleased with what I saw in the second half but over a 38-game season it is very difficult to maintain that consistency especially against the quality that we faced today. “And when you are playing against 12 men as well it very difficult. “I thought the referee was abysmal. 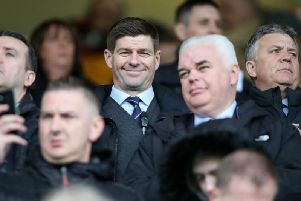 “How (Filip) Benkovic doesn’t get a yellow card and (Darren) McGregor does is beyond me. “He has taken (Emerson) Hyndman completely out of the game, we get a free-kick at the edge of the box, no yellow card. The Benkovic is borderline red for me, never mind a yellow and he gets nothing. “He just took Hyndman completely out, he knew what he was doing, there was no intent to get the ball.